Enhanced, full-range, 9mm matched transducers deliver superior audio detail with powerful bass resonance for an epic listening experience. 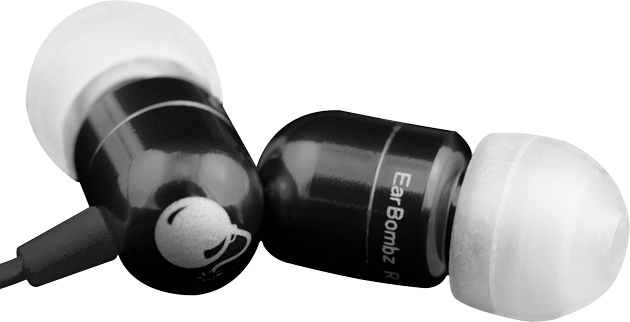 Silicone tips fit yourears for the perfect acoustic environment and absolute audio resolution. Comes equipped with an in-line cell phone microphone for safety and convenience. Dual action microphone button allows for hang up and answer features as well as play and pause functionality. Tablets, smart phones, iPods™, computers, stage and studio in-ear monitor applications.